The Carlyle District is one of the most recently developed communities in Alexandria, Virginia, exemplifying the trend toward mixed commercial/residential/retail living. 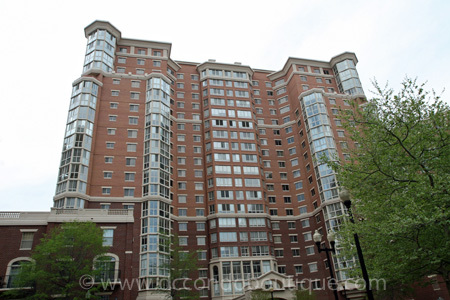 Anchored by the U.S. Patent and Trademark Office, the Carlyle District is also home to an office complex, hotels, retail space as well as some of the most sought after homes and condominiums in the DC Metro area. Deftly combining convenience with the rich history of Old Town, Carlyle offers a rich array of dining and shopping experiences. Properties are dominated by upscale condo and townhome developments such as the Carlyle Towers, The Jamieson, and the Royalton, to name a few. Carlyle is located between Duke Street and Eisenhower Avenue and served by the King Street Metro Station.